This time for my birthday I decided to take an ethnic detour! I just got bored with dress, skirts, jeans and blazer. This season polka and neon trends are floating through blogosphere with every blogger giving her own take on the trend. I think it is one versatile trend which can be incorporated even in Indian outfits. 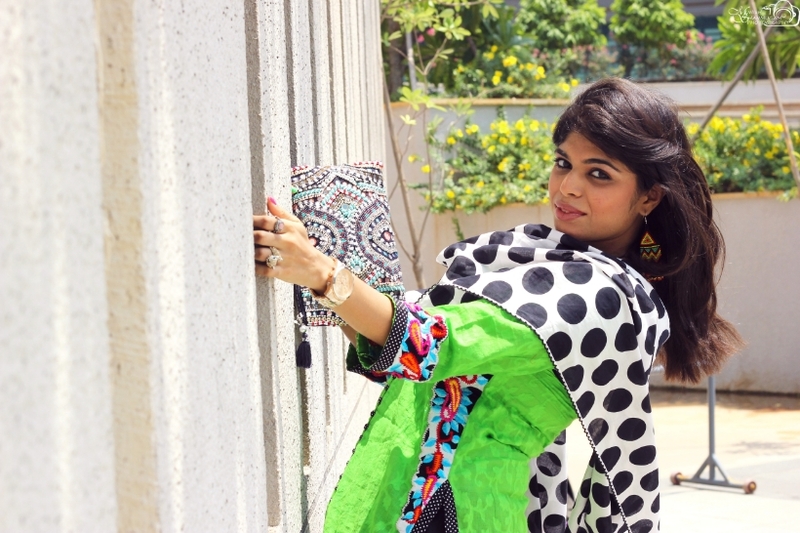 This week Stilettos Diary collaborates with Indusdiva and Accessorize. Firstly, thank you so much IndusDiva for this wonderful birthday gift. IndusDiva.com is your one stop shop for all ethnic solution. Trust me when I say: "all ethnic solution". This place is a Mecca when it comes to providing custom made tailoring option, pre- stitched sarees with in-skirt (it is totally for people like me who struggle to walk wearing saree) and garments stitched to measure. IndusDiva has an eclectic curated ethnic collection. 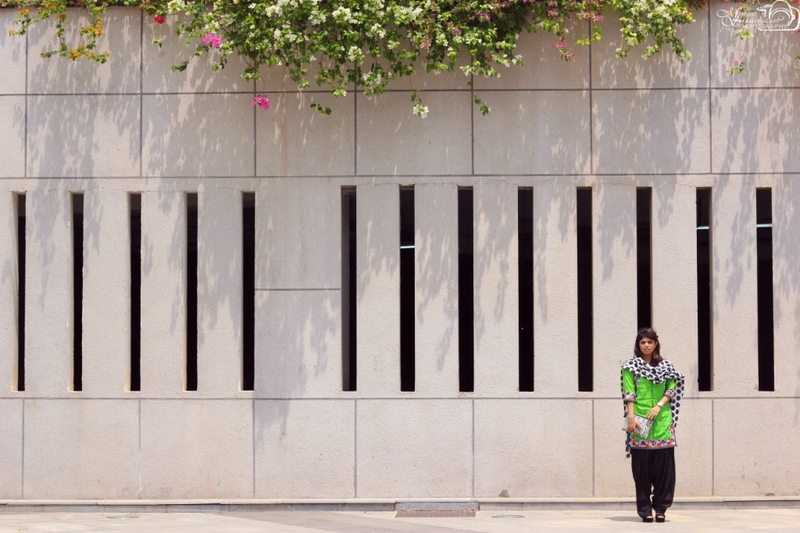 I agree who would have thought of floral, polka and neon in one salwar kameez? 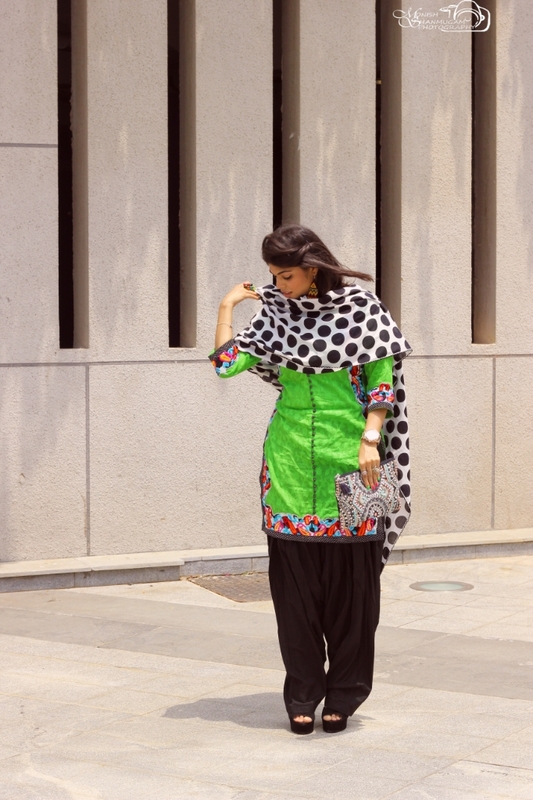 This outfit is one worthy investment, the top can be restyled with plain patiala and dupatta to tone down the prints. 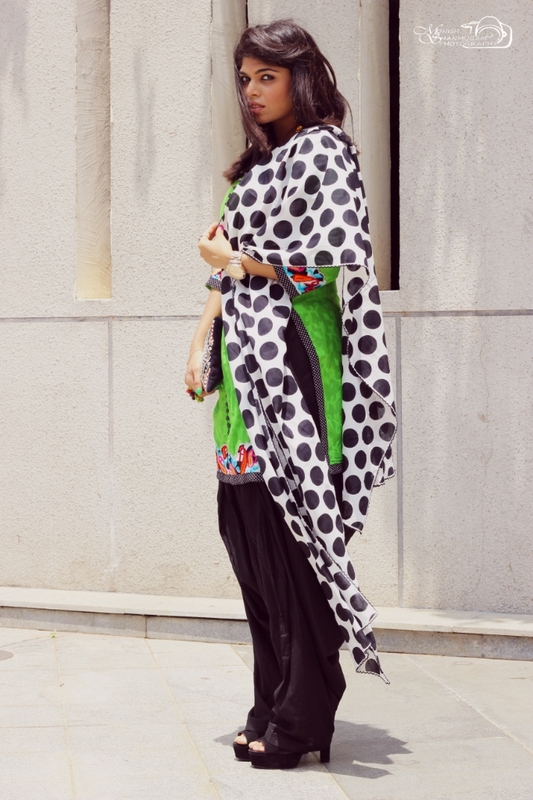 You can restyle the patiala pant and dupatta with your existing kurta for daily wear. This piece can be transitioned from special occasion to office wear. Indusdiva offers plethora of unique ethnic option for every age. Don't believe me? Self explore the website. Speaking of Accessorize India, I absolutely love their clutch collection. The rings and evil eye bracelet add the right amount of bling required for this outfit. More about Accessorize India and collection is upcoming blog post. This was the first Steve Madden heels I bought and it is "My Madden" which was my birthday gift to myself. 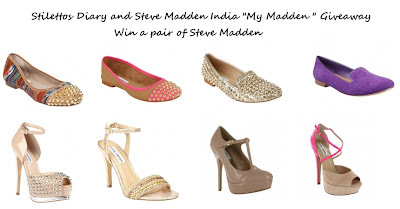 Want to win a pair of Steve Madden? Participate in the giveaway just click of the image. Speaking of Limeroad giveaway Surabhi Aggarwal congrats! You won yourself a Lino Perros Holiday bag. Please drop me an email at stilettosdiary@gmail.com for further guidance. Love the colors and polka dots:-) love the clutch..hope u had a fab birthday! hey vandana...Really Diana Penty? I really like her a lot. I thk she is amazing. Thank you so much. :) This is the first time any one is saying that.. I have got lot of comparison to Priyanka chopra though.. I congratulate you for your birthday and for a beautiful look of neon-polka-Indian combination. Thank you so much for the wonderful contest and updating me with a resource in form of Limeroad.com. Again, thanks so much, and I’ll write to you soon for further guidance. For a lovely Limeroad giveaway and for the announcement too. Thanks Megha for such a lovely Limeroad giveaway. coz i din't buy it but won it ..which feels good ! off very nice, perfect colors.and Happy B-day :))) would u like to follow each other? If yes, just let me know. Have a nice day!.. Amazing blog and cool content.. love ur writign style.. I love thi Indian outfit! so cool!!! I love the polka dot stole so much. Changes the whole mood of an outfit. Great styling!! And belated Happy Birthday!